Who, Why and What for this Blog? From career soldier to real estate developer and now for the past 11 years, looking after senior citizens has been the story of my life! Call it destiny or opportunity? I was born on 23 Apr 1949, studied in school at New Delhi, joined the National Defense Academy in Jul 1965 as an army Cadet. Commissioned from the Indian Military Academy on 15 Jun 1969, I had a great career as an Artillery Officer. My service of 26 years in the army took me to the length and breadth of India and I was fortunate to command the Artillery Regiment in which I was commissioned into. I held many coveted staff appointments like GSO (3) at Military Operations Directorate, GSO (1) Operations in Ladakh, Military Assistant to Chief of Army Staff and also a member of the faculty in Defense Services Staff College, Wellington, from where I took premature retirement on 4 Jul 1995. I quit the army where I had a bright career simply because my salary was insufficient to run three establishments – my elder daughter was at college in Delhi, wife and younger daughter in one place and me wandering around! Besides we built a house and the housing loan was a big drain. I became a Veteran of Indian army with Rs 3 lakhs as my savings and a meager pension but with a determination to become an Entrepreneur. I took up the real estate business thanks to the opportunity provided by the Contractor who built our home! From army to real estate; from uniform to civvies; from structured life to a life which I was alien to! Survive I did these 20 years through many ups and downs but with a “never say die” attitude! 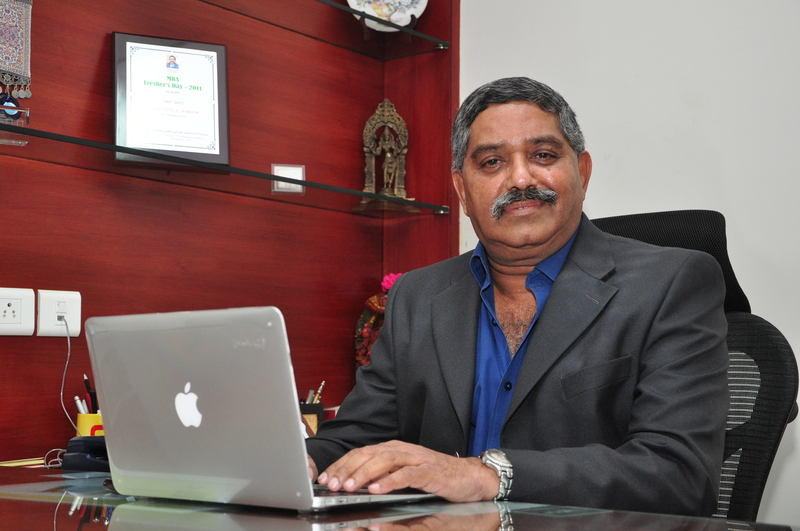 In 2001, I set up my own company Covai Property Centre (I) P Ltd in Coimbatore. My team and I made our name by being transparent, did not compromise on quality and we delivered what we promised. We evolved systems and processes and expanded our operations. We were one large family then and even now. I believed that “ employees came first and customers second” and it worked wonders since my Team knew they would be taken care and they delivered what our customers needed. In 2004, we entered the retirement community segment, which was almost non-existent then. Army taught me to think about the future and that is what we did and, still do. Nothing is permanent. Change is the only constant factor. Innovation is the key to meet the change. That mantra helped us to create, refine and modify the very concept of retirement communities. From Old Age Homes to Comfort Homes we changed the name to be known as Retirement Communities. That change was necessary because we constantly studied the needs of seniors and looked at their future requirements. We believed that “future is the key” since present is past and past is to learn from one’s mistakes. Those who do not think about the future are likely to be doomed. Along the way, we created Serene Retirement Communities in many cities, I quit the Board of Serene in 2013 and today Brand Covai is what we are in the retirement segment. Covai and Colonel have become synonymous with retirement communities for the past 11 years. And today, we are the only consulting company in this segment and help Developers create retirement communities under Brand Covai and provide quality services and care. Being pioneers in creating and running retirement communities in India, Team Covai and I want to share our journey and also make this as a platform to understand the changing needs of senior citizens and get opinions, which others can share and together we grow (not in age!). Let the journey of aging continue with your ideas, views, concerns and suggestions to make ideal retirement communities to suit Indian conditions! More in my next! Your comments and views will be most appreciated. Posted on September 30, 2015 September 30, 2015 by colsriTagged Covai Property, Old age Homes, Retirement Community. Why Retirement Communities are preferred by Senior Citizens?